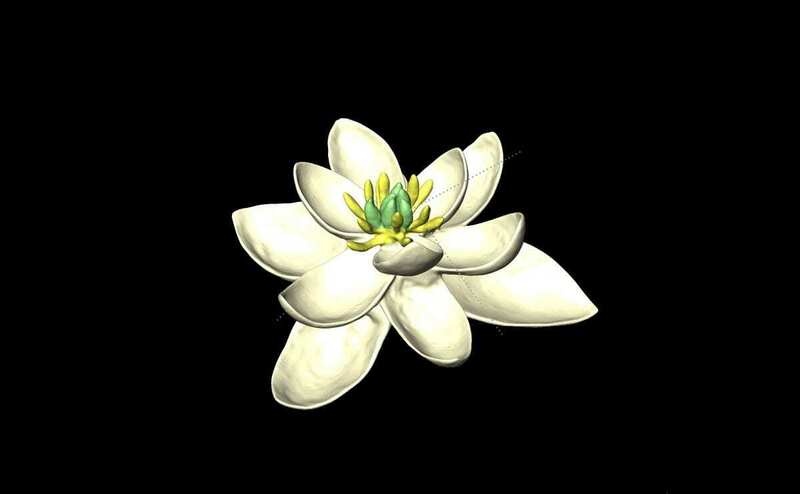 A new study published this week in Nature Communications reconstructs the evolution of flowers over the past 140 million years and sheds new light on what the earliest flowers might have looked like. 36 researchers from 13 countries, including Royal Holloway, University of London have reported results from the ‘eFLOWER project’. Among the most surprising results from the project is a new model of an original ancestral flower that does not match any of the ideas proposed previously – shedding new light on the early evolution of flowers as well as major patterns in floral evolution across all living flowering plants. According to this new study, the ancestral flower was bisexual, with both female (carpels) and male (stamens) parts, and with multiple whorls (concentric cycles) of petal-like organs, in sets of threes. About 20% of flowers today have such ‘trimerous’ whorls, but typically fewer: lilies have two, magnolias have three. “These results call into question much of what has been thought and taught previously about floral evolution!”, said Jürg Schönenberger, a Professor at the University of Vienna, who coordinated the study together with Hervé Sauquet. It has long been assumed that the ancestral flower had all organs arranged in a spiral. The study saw an unprecedented international effort to combine information on the structure of flowers with the latest information on the evolutionary tree of flowering plants based on DNA. “It was an amazing experience to be part of such an ambitious project. The number of data points we needed to record for the eFLOWER project was a bit daunting at first, but really showed the value of a collaborative effort”, said Emily Bailes from Royal Holloway’s School of Biological Sciences. Flowering plants (angiosperms), with at least 300,000 species, are by far the most diverse group of plants on Earth. They include almost all the species used by people for food, medicine, and many other purposes. However, flowering plants arose only about 140 million years ago, quite late in the evolution of plants, toward the end of the age of the dinosaurs. Since then they have diversified spectacularly. However, no one knows exactly how this happened. The origin and early evolution of flowering plants -especially flowers still remain one of the biggest enigmas in biology, almost 140 years after Charles Darwin called their rapid rise in the Cretaceous “an abominable mystery”. The new study sheds new light on the earliest phases in the evolution of flowers and offers for the first time a simple, plausible scenario to explain the spectacular diversity of floral forms.